There are two ways of looking at Sunday’s programme. You might glance at the listings and say: “it’s the last day of the festival, the films finish early, it’s all winding down.” But if you were there with us, watching these films, you’d know different. Sunday at the BSFF offered a big finish, with three feature films shown: one of which was a gem, and two of which were genuine masterpieces. And there was plenty more besides. Shall I begin with a confession? Reader, I slept in. And those extra zeds were delicious, but I did regret missing Bryony Dixon’s presentation on Gallilopi, a curtain-raiser for the screening of Tell England (1931) that was to follow. However, Tell England was a rousing start to the day – you couldn’t ask for better. We have been on a journey with these early sound films over the weekend – from the stumbling first steps of Dark Red Roses et al, via two beguiling movies on Saturday, to this, a real masterpiece. We were warned that the soundtrack was not of good quality, but really, it was not a problem. In fact, for every mishandled piece of dialogue here, there was a sound collage that did credit to co-directors Anthony Asquith and Geoffrey Barkas. And I suppose it does help that the actors offered a parade of perfectly clipped RP accents. Asquith and Barkas fold silent film-making techniques into their exploration of sound cinema – making this a bold and visually exciting war film. Tell England follows two young heroes (Tony Bruce and Carl Harbord) from their public school in divine middle England to the trenches of Gallipoli where the horrors of war and their duties as precociously promoted officers weigh heavy on their hearts. While the characters speak with traditional English restraint and understatement, the film whirls around them to show the physical violence of warfare (with mortar shells whirring and crashing on the soundtrack), and its psychological toll too, on the soldiers themselves and Fay Compton as a distraught mother almost driven mad by grief and fear. 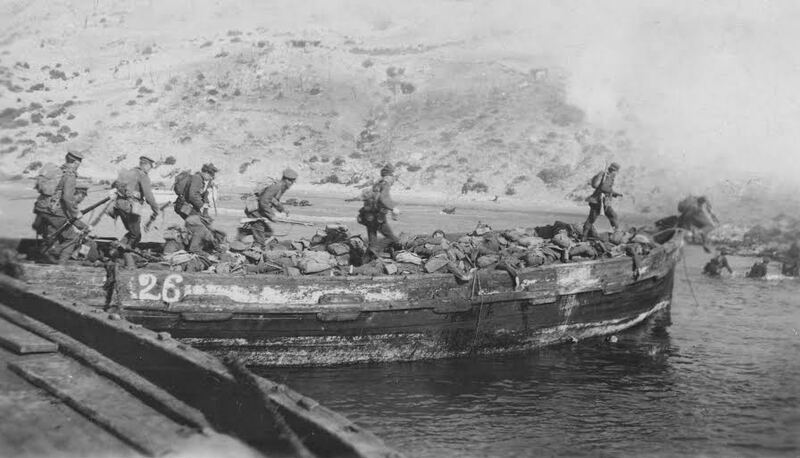 Not a documentary record of Gallilopi, although its vivid beach landing scenes are often cut up and used in factual programmes, but a fine dramatic film that would ideally be more widely available. So, insert a snide remark about the talkies catching on here. After lunch, a commercial break, as the BFI’s Steve Foxon gave us a guided tour of screen advertising, from Edison’s short 1890s clip promoting Dewar’s whisky, to a bouncy Halas & Batchelor cartoon tribute to Kellogg’s Cornflakes in the1940s. All good fun, and the sort of presentation that provokes many more questions in the coffee break afterwards. Early screen advertising is both very different from and so similar to modern examples, with detergents cleaning whiter, and making easy work of tough jobs, as well as twee poetic tributes to the English countryside and even celebrity endorsements. And of course you can’t believe that anyone fell for these tricks. But we all do. I had seen the last two films of the festival before but no matter – I was more than happy to watch them again. 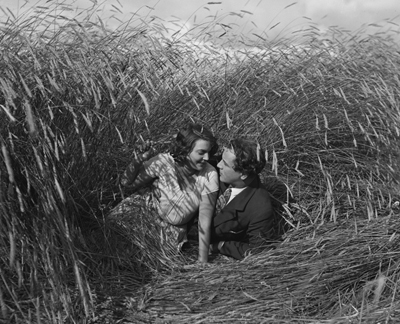 Late Swedish silent The Kingdom of Rye/Ragens Rike (1929) is a beautiful though quite strange film. Eccentrically structured, and bewitchingly photographed, The Kingdom of Rye, which is inspired by a poem is a heady concoction of love, violence, and superstition that unspools at an almost narcotically slow rate. Two rival villages compete with each other, and two men compete for one women. The man who wins is not the man she loves, and when she faints at the wedding, instead of setting her free he coops her up in his house – which is torture for the lovers, but also upsets the natural balance of things. The villagers finally unite to save the day, but it’s really up to the two men to come to an agreement. There are so many interesting ideas here, and perhaps they could have been resolved, visually and narratively, in more satisfactory ways, but this is a gem of a film, even if it lacks a little polish. 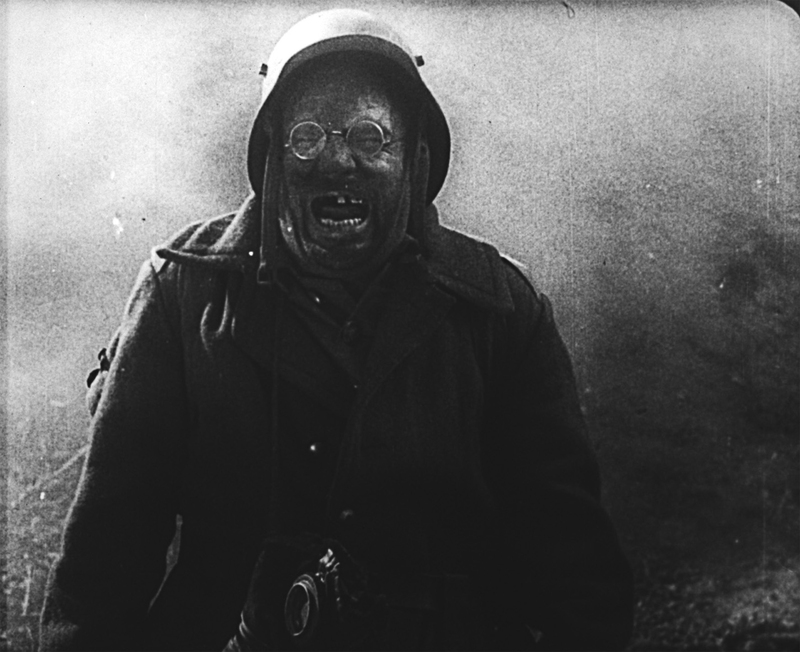 Nothing lacking in Arsenal (1929), Dovzhenko’s visceral anti-war statement – which was our bruising finale. With a new score from Bronnt Industries Kapital (AKA Guy Bartell) I have to say this was a revelatory screening for me. The opening sequence of Arsenal is so devastating (“Oh, a mother had three sons”), so emotionally stark, that it has always overshadowed the rest of the film for me. Perhaps familiarity has softened that gap, but I was enthralled, open-jawed from start to finish here. With so many unforgettable images, and such a rapid pace of plot and ideas, my brain was racing to catch up with itself right to the end. And Bartell’s score is expertly judged – a echo chamber of horror for the film to resonate inside. It’s loud, it really is, combining electronica with electric guitar (played with a violin bow, why not?) and such strange, haunting noises I constantly mistook them for, yes, coming from the film itself. Perhaps I have seen too many talkies. Far too much to take in on a single viewing, and I urge you to catch the film with this score whenever you can. 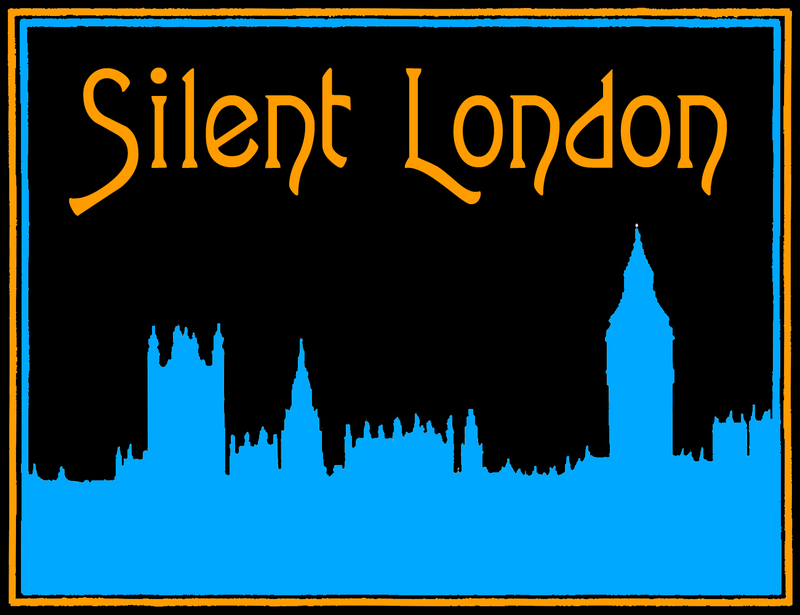 It only remains for me to thank, on behalf of all of us bums on seats, the organisers of the festival (Bryony, Laraine, Sue, Neil and co) and the staff of the Leicester Phoenix (Paul, Richard and the rest of the team), who made us incredibly welcome for the weekend. It’s been fabulous – roll on next year! “Leicester is renowned for its boots and shoes – and PRETTY GIRLS”. So began a snippet of footage of Leicester in the 1920s held where else but the “Hugh Hefner archive” at the University of Southern California? I missed Ragens Rike when it played at PDN a couple of years back. 😦 maybe it’ll come to my neck of the woods at some point. I’m enjoying your roundup posts, thanks for writing! Actually the Leicester footage is held in the archive of The University Of Southern California School of Cinematic Arts, it just holds the title of Hugh M. Hefner thanks to his generous donation, but I understand the confusion.. Thank you for clarifying. I did know that but mangled it.